So I had given up all hope of actually seeing anything, and so me and my good lady settled down to watch a couple of movies. Well halfway through the first film, we paused it to get a drinks top-up, and since I fancied a whisky-on-the-rocks, I had to go outside to the freezer in our garage, and glancing up at the sky was very surprised to see a gap in the clouds, only around the Moon, but large enough for me to go racing inside to fetch my new 20×80 binos and shouting for the wife to follow. That’s the beauty of binoculars, and within about a minute the tripod and binos were setup and we were looking at the ghostly vision of the partially eclipsed Moon peering through a viel of clouds. It was quite a beautiful sight, and all the more special considering the clouds had opened up at exactly the right time for us to see the moon at almost maximum Earth shadow coverage. Very nice! I’ve been on holiday in France for a 2 week break. I took a small pair of binoculars (10×25) for some casual astronomy viewing of the night sky down near the Med. We went to a campsite at Canet-en-Rousillon, near Perpignan. While we had a fantastic hot holiday, the night sky was frankly quite terrible. I think this was due to us being pretty close to sea-level, and the heat resulting in humid conditions, so that even though most nights were clear and the stars were out, it was very poor transparency, with only the brightest being visible. 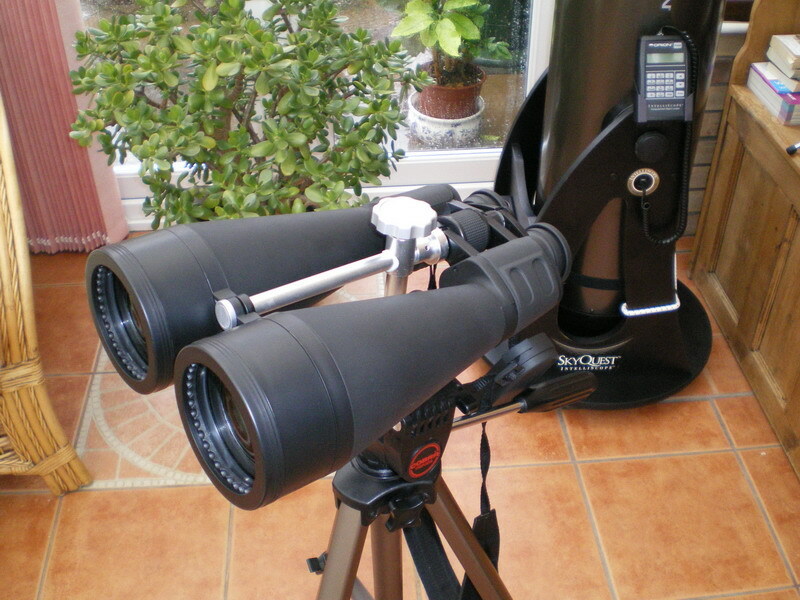 The first day of our holiday was my birthday, and for that my wife had bought me a new pair of giant 20×80 binoculars. Unfortunately they had not been delivered in time for the vacation, which was a little disappointing. Never mind. One thing worthy of mention was a large meteorite that shot overhead on the Sunday night (27/08/2008). It was very bright, and crossed about 100 degrees of sky in about 1 second, and actually broke up in a final shower of pieces as it died. As with most meteorites it was over incredibly quickly, but the breakup made it quite spectacular. I’ve had these photos for quite some time and have been meaning to add them, partly tongue-in-cheek, and partly as a momento of my very first attempts at astrophotography with my XT10 telescope. 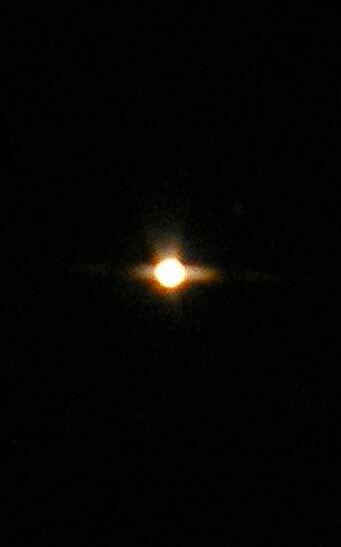 I took these in December 2007 about a week after getting my brand new scope. Considering that Mars was at its nearest position to Earth for quite a long time, these photos are truly criminal and just do not do Mars justice at all. 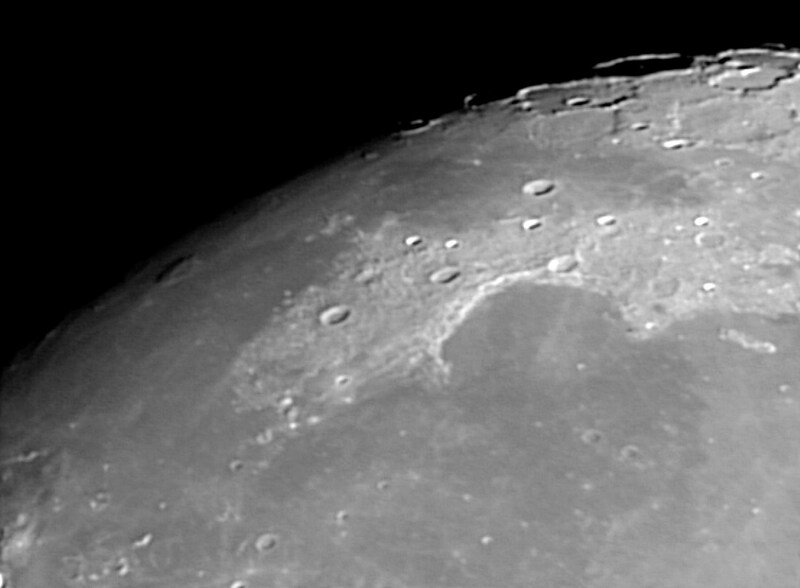 Oh well, it was early days and I had a lot to learn about taking pictures with a telescope. 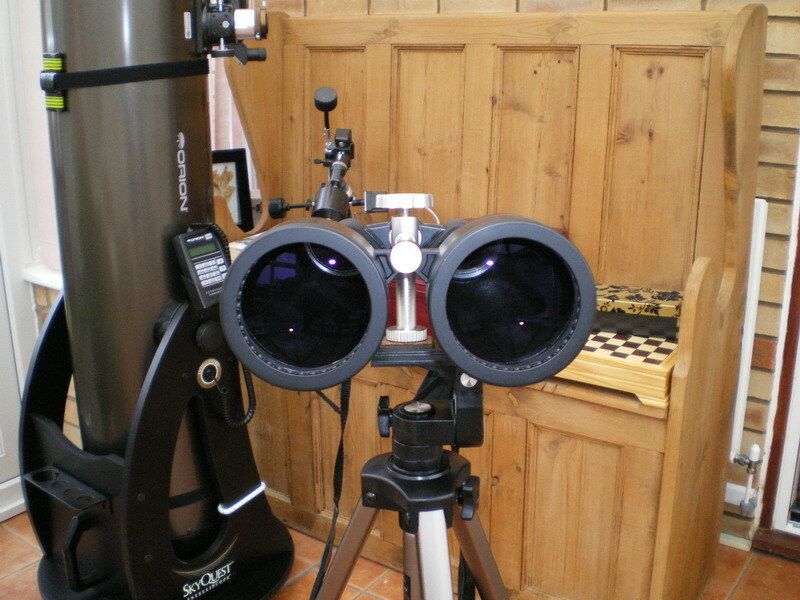 They demonstrate afocal astropics of Saturn taken with a simple point-and-shoot camera held up to the eyepiece, and also a couple of webcam images produced from AVI movie captures of Saturn and its moons. I’m at a very early stage in my attempts with astrophotography, but they show what can be achieved with a Dobsonian mounted Orion Skyquest XT10i newtonian reflector telescope. I have added an Astro Music page to my web site. This contains a small and convenient music player which plays a collection of tracks by a variety of my favourite artists and bands. The common thread being that the tracks are based upon a “Space” theme to suggest a voyage through deep space, passing planets, stars, novas, and encountering aliens, UFO’s and a few other mysterious things on the way. A lot of the music chosen is ambient, ethereal and either beautiful, hypnotic or wierd as the mood takes you! The intro page provides some information about each of the artists, and the player has buttons to control which tracks play, and volume and so on. Each track also has a button beside it which links off to the appropriate website for that band. You might know or recognise some of the pieces of music or artists, but there are also some unusual items as well. Music is a very personal thing, so only you can say whether it appeals to you. Anyway its there to enjoy while you browse my web site, so be my guest. The player will continue to work uninterrupted while you browse the pages of my site. If you like the music then please support the artists by purchasing their music. I don’t make any money from this - I simply like this music, and thought you might also?